I remember wanting a dog so bad for several years but I was dead set on adopting a puppy rather than going to the pet store. I did tons of research and found several breeds that would work well with my allergies and my current living situation in an apartment while I was in college. I applied to several rescue groups but kept getting turned down until one FINALLY accepted. My husband and I drove 2+ hours to this trailer in the country in Ohio. She brought out the Yorki-Poo that I was interested in as well a another pup that she thought I might like. I think her hopes were that I was going to walk away with both of them. She was out of her mind. While the Yorki-Poo was quiet and timid, the Pom-Chi really drew my husbands attention. I had no intention of getting a Pom-Chi. In fact, I knew nothing about them. Thirty minutes later we were on our way back to Michigan with a 7 week old black furball of a dog - the Pom-Chi. We had no idea what we were going to name this little girl until A said, "Roxy?" I really liked it but am not a fan of tradition spelling. So Roxi it was. Roxi was 1.1 pounds and had giardia which made for some very long nights of crying and poo all over the place. I mean, all over the place because we were pad training her. That did not work to our favor. Once we gave her proper medication, she became a spit fire. Adopting our little Roxi was the best decision I have ever made. 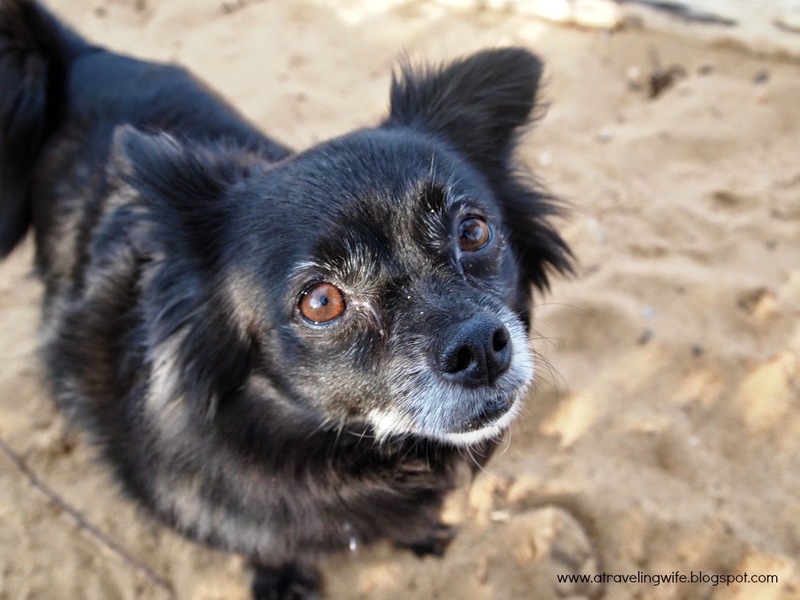 Did you know that she was days away from being euthanized by a puppy mill because the buyer didn't like her markings? People say we saved her life but she has really saved ours! 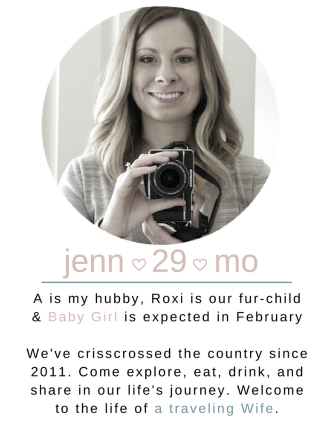 Now Roxi is 6 years old and she has seen the world, err the U.S., quite literally. We adopted her from Ohio, lived in Michigan, flew to California with a layover in Colorado, visited Nevada often, flew to Indiana with a layover in Utah, and drove to Maryland. She has also been to Tennessee and Pennsylvania. This lady gets around! She's a snow bunny and beach bum and she could stay outside all dang day. But there is one thing that will always get her attention. Treats! Don't even dare say that word unless you want a drooling dog to come begging at your feet. This past weekend we were able to enjoy one of the parks that is near our new house. They also have this leashless dog beach and some lovely trails. 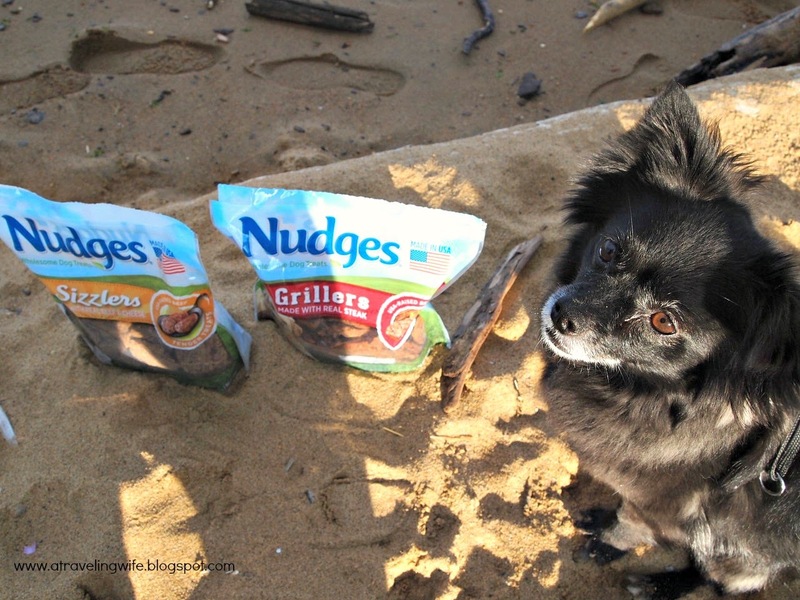 This was a perfect time for us to practice our doggie sign language to try out some new treats - Nudges® Grillers and Sizzlers. Clearly she got really excited and wanted to do ALL the tricks just to get a snack. Watch the video. My favorite is at 40 seconds. I've learned over the years that a tired dog is a happy dog so we do all we can to ensure that Roxi gets exercise and doggie socialization. Then we like to reward her with high-quality treats and snacks. 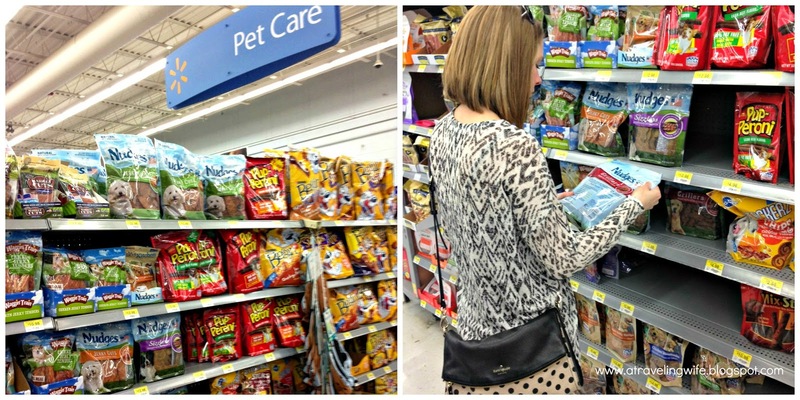 The #NudgeThemBack goodies were purchased at Walmart because Walmart carries practically EVERYTHING. Too bad Roxi is such a small pup or I would try the new Jerky Cuts value size (36oz) at Walmart - she absolutely loves jerky. 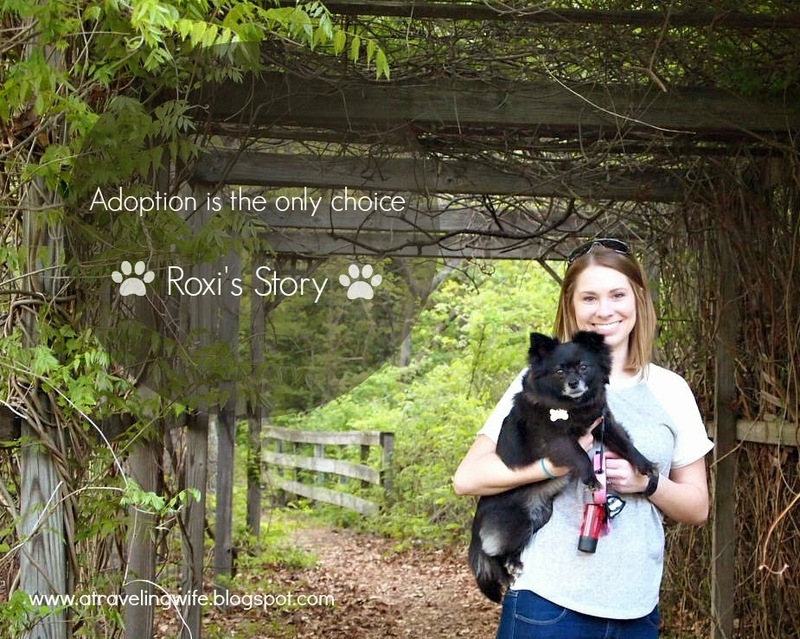 Have you ever adopted a dog? Also, be sure to check Nudges® on Facebook. Does your pup prefer steak or chicken? I love Roxi! 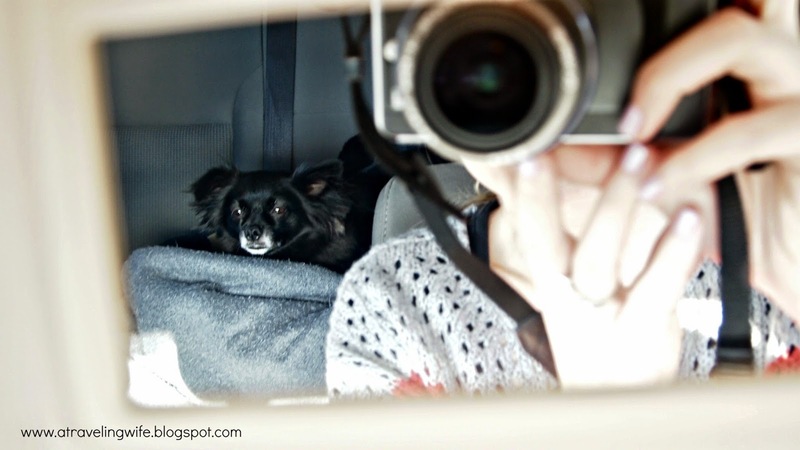 What an awesome post from one pet adoptive mother to another! !